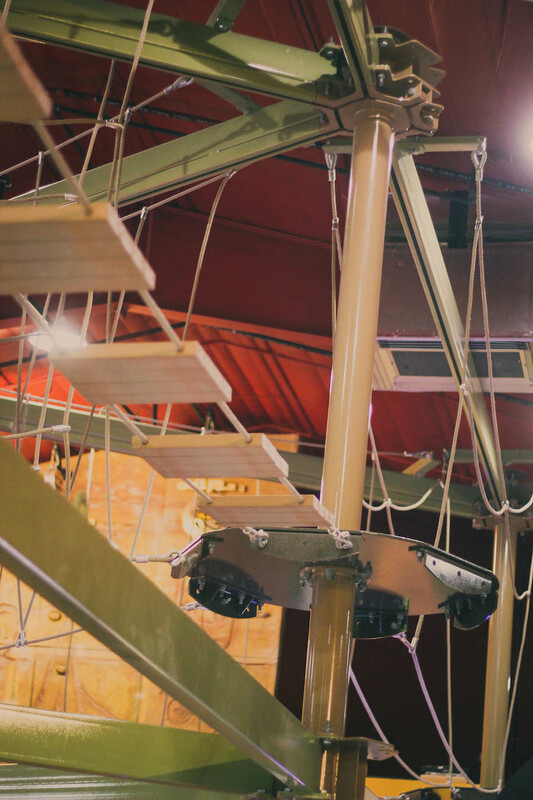 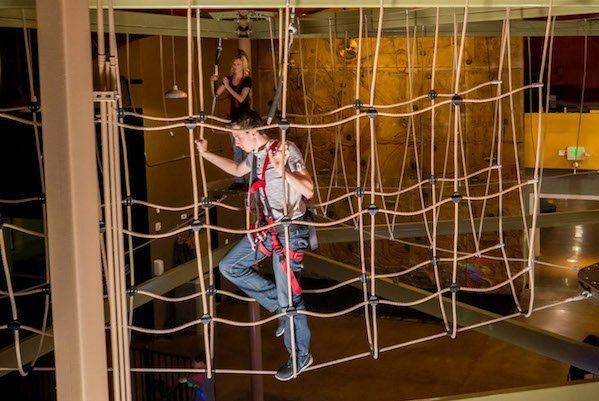 Imagine scaling a rope bridge, balancing on a narrow beam, or walking a tight rope… all while suspended high above our arcade. 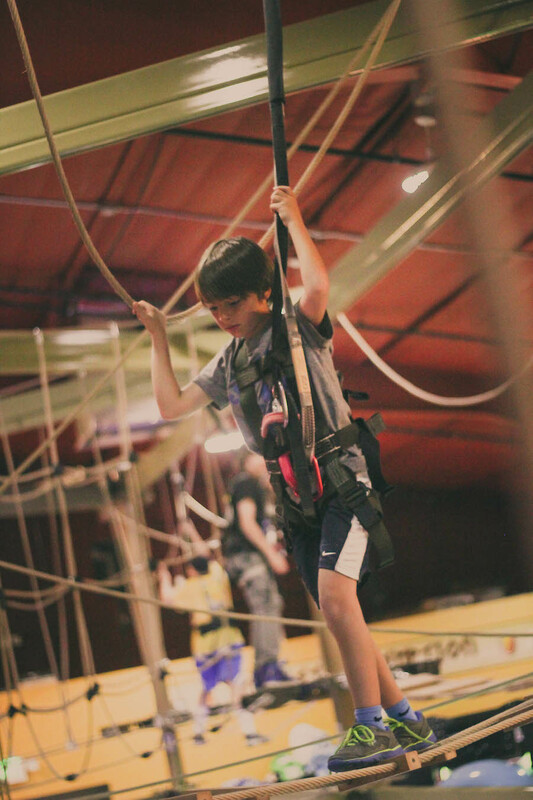 With elements for all ages and skill levels, everyone can participate! 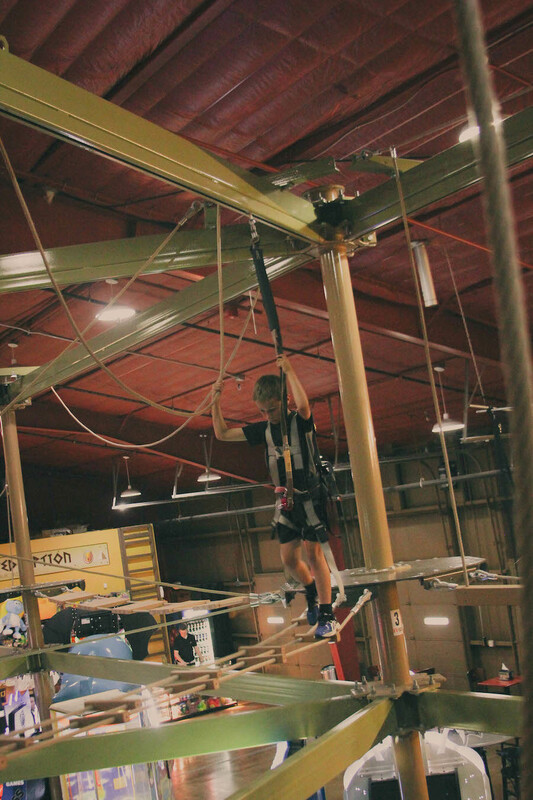 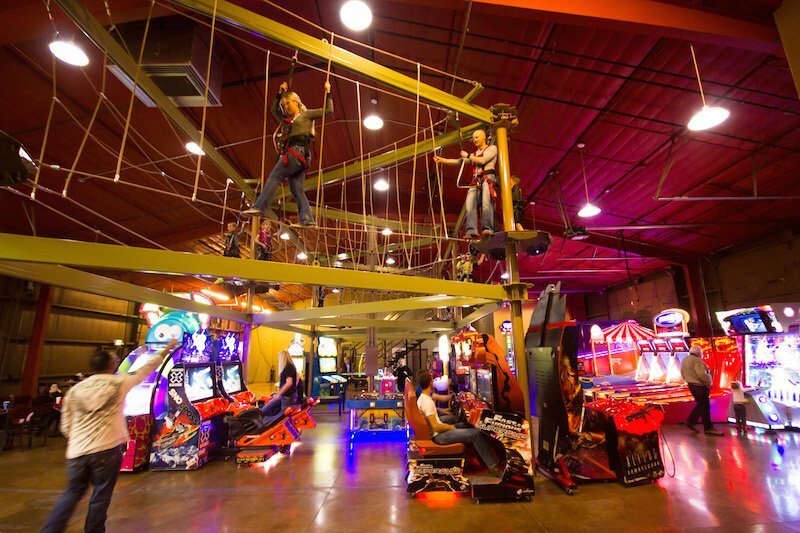 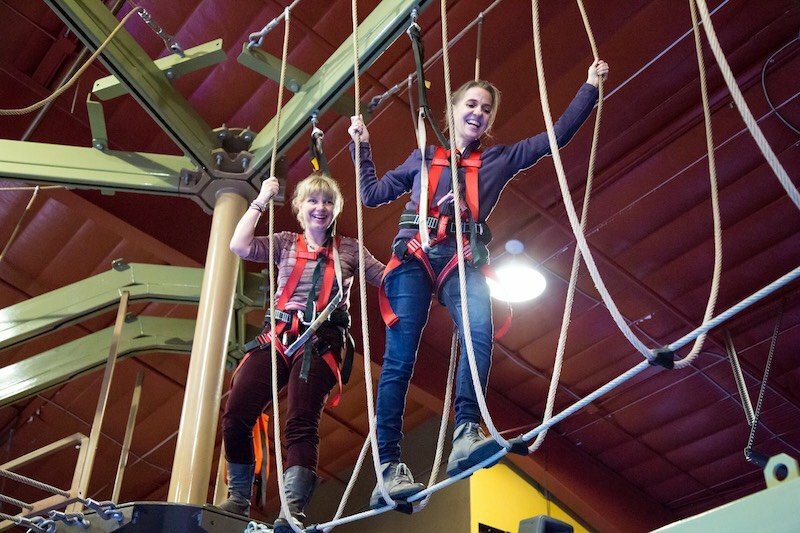 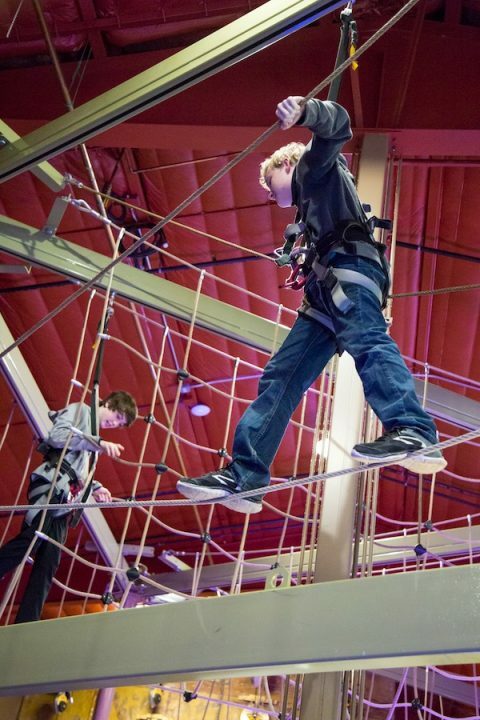 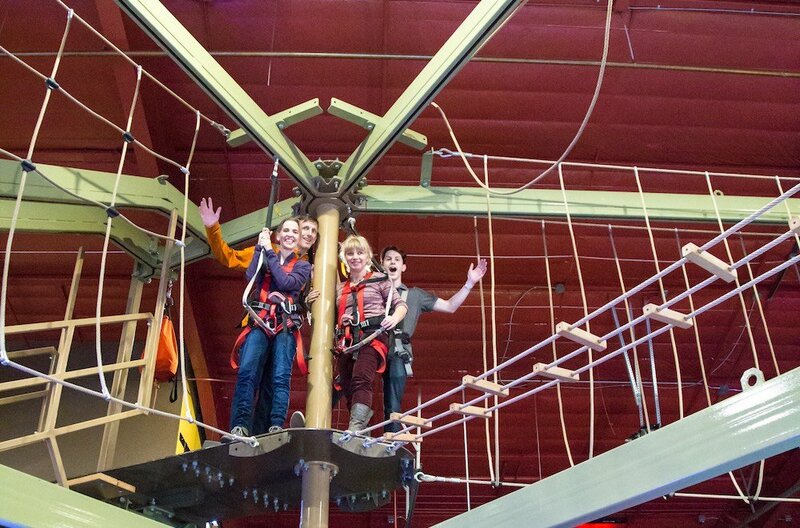 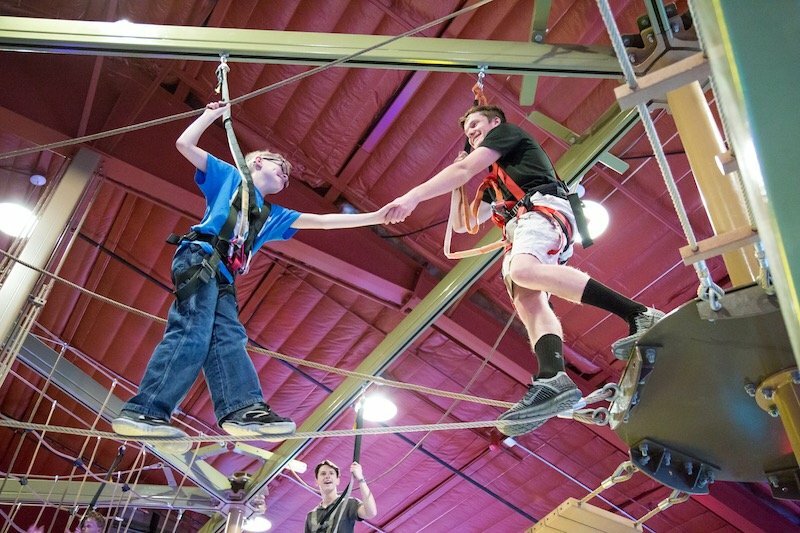 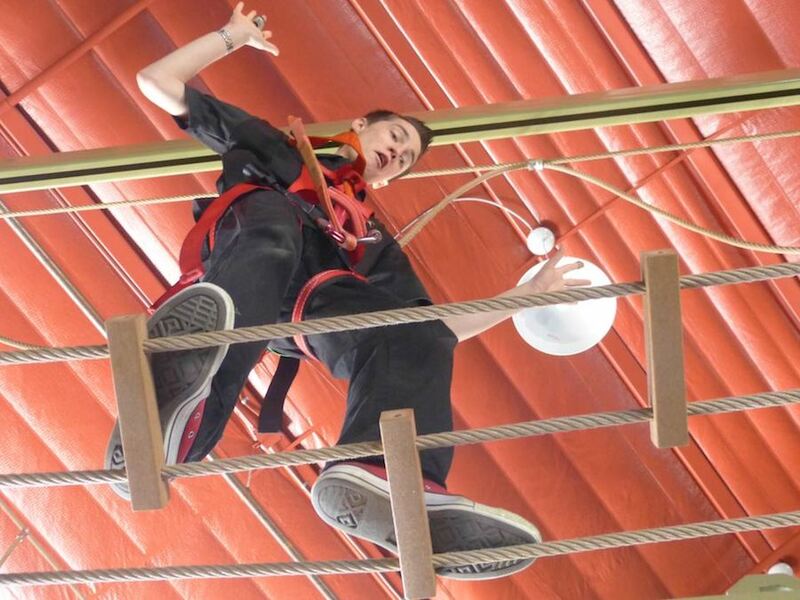 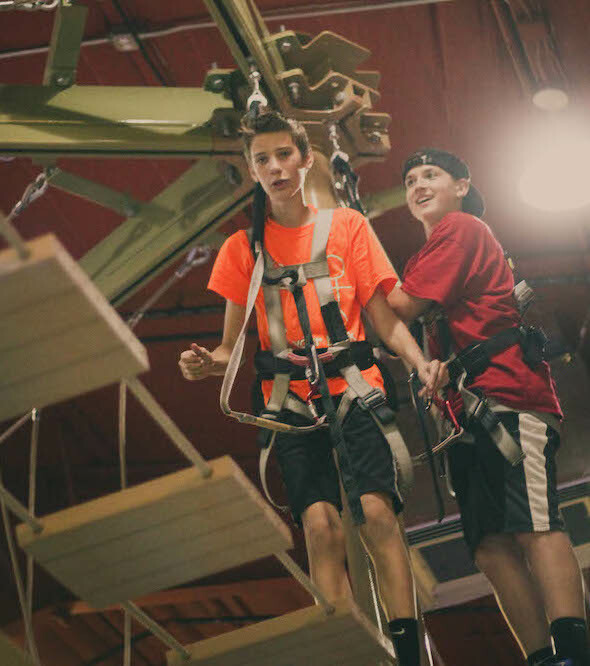 Our indoor ropes course features 11 exciting elements. 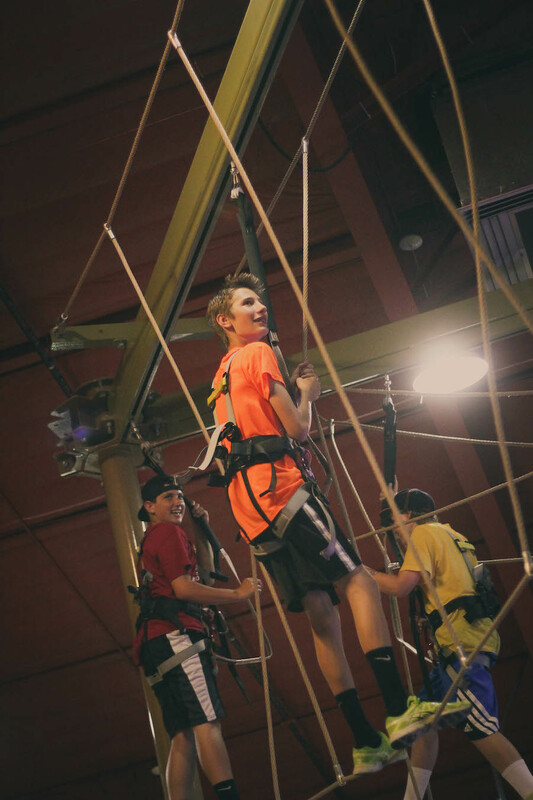 Conquer your fears and have fun exploring all the elements while securely clipped into Ropes Courses, Inc’s patented track system. 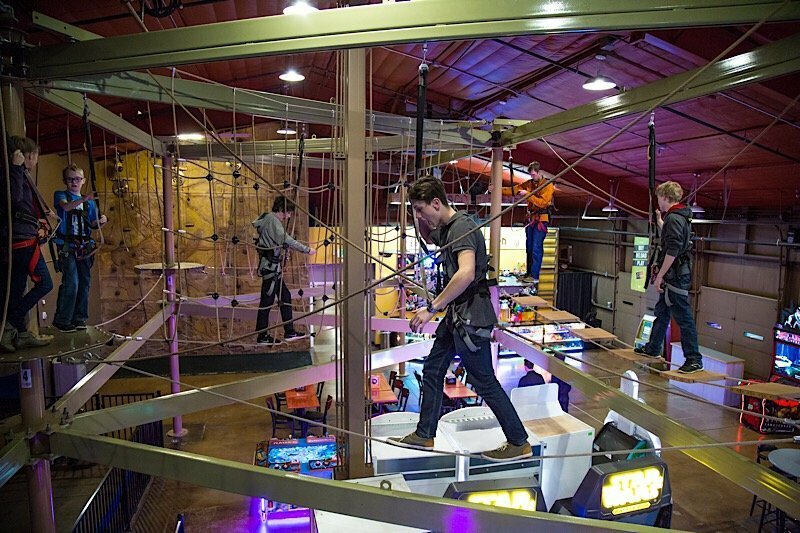 *Must be 48″ tall and wearing closed-toe athletic shoes to participate.